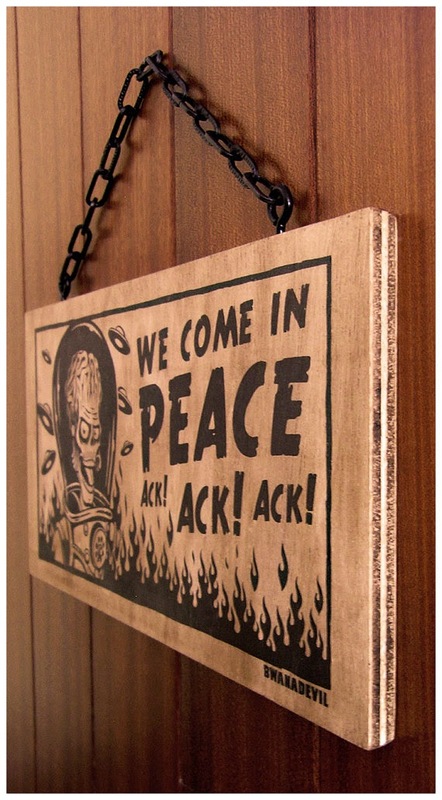 MARS ATTACKS WOOD SIGN. 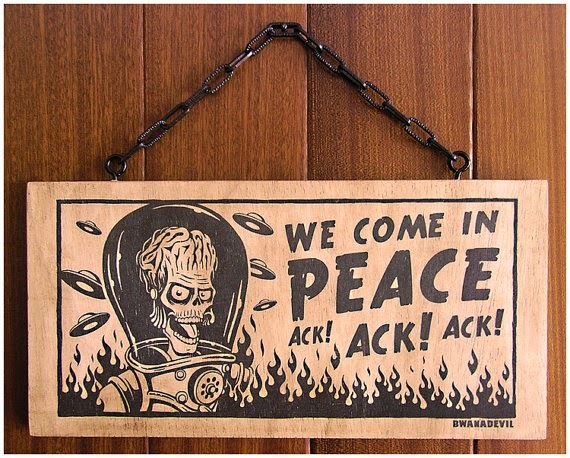 WE COME IN PEACE... ACK ACK ACK! 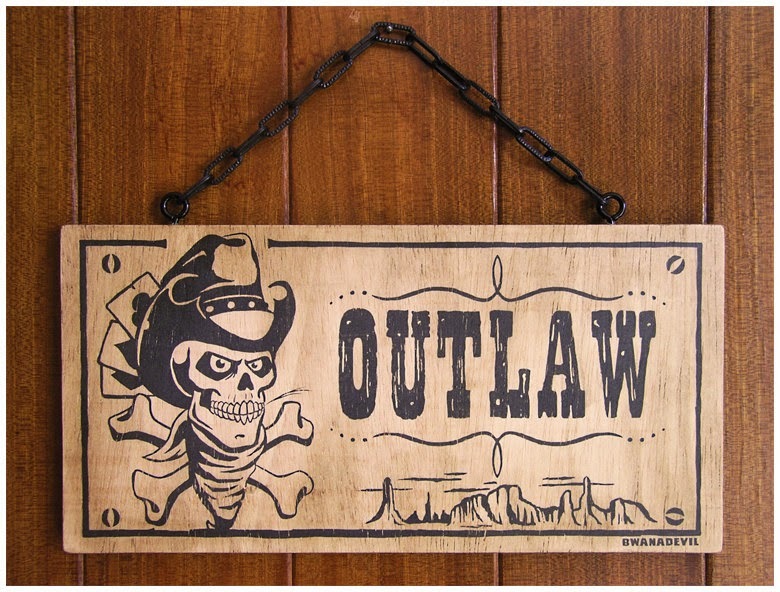 OUTLAW ART, NOT YOUR TYPICAL WOODEN SIGN! 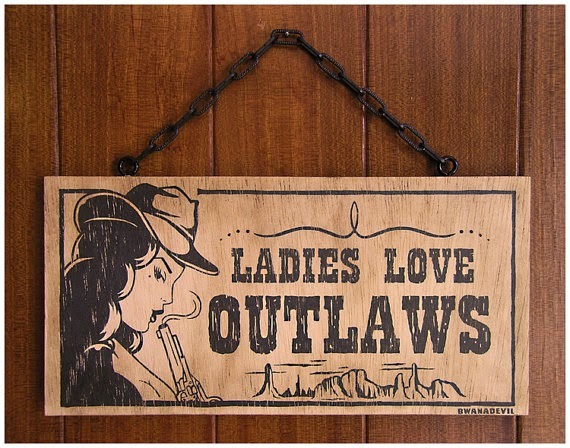 Wood sign created by BwanaDevil. 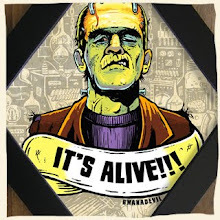 An Authentic blend of Rock and Roll, sci fi, b movies, horror art, and country cabin style. 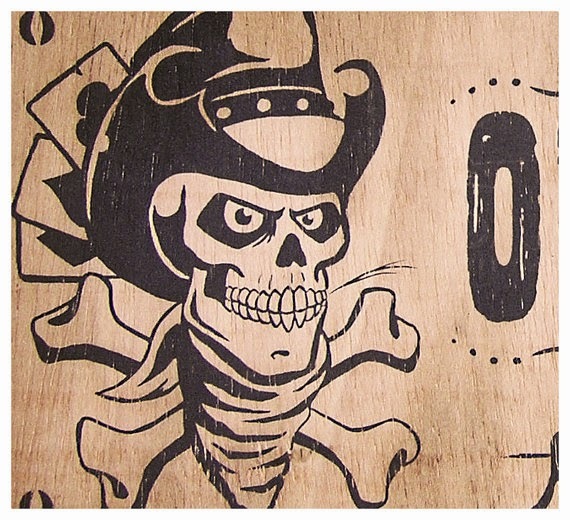 Original design by BwanaDevil, silkscreen printed by hand on wood, each sign is cut and aged by hand, so no two are alike! 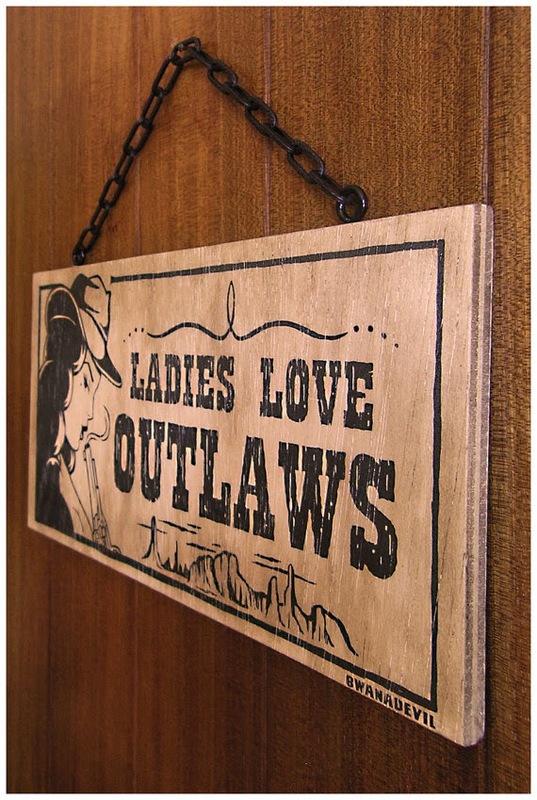 Thanks to its resistant black chain it's perfect for hanging anywhere you want, a door, wall, garage, fireplace, workplace, etc. 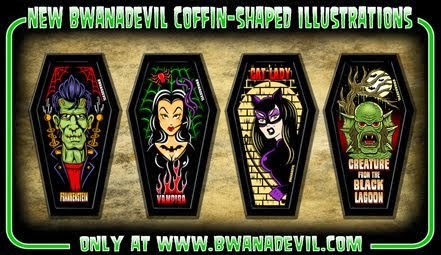 In BwanaDevil we also create custom signs, so if you want something unique and special just for you or your business, contact us! 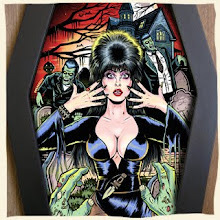 Wooden sign created by BwanaDevil. 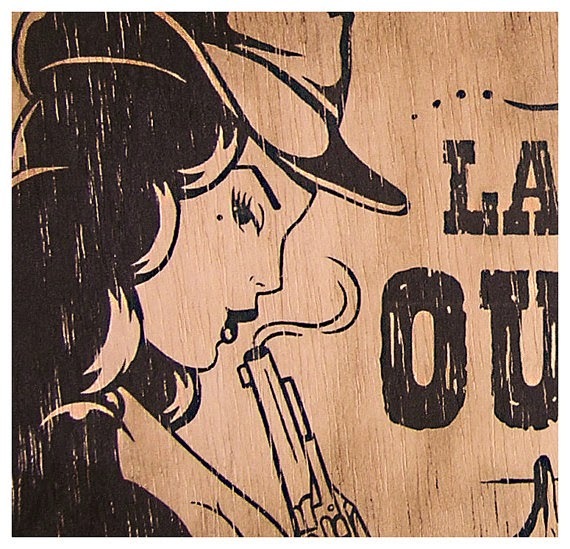 An Authentic blend of Rock and Roll, western and country cabin style. 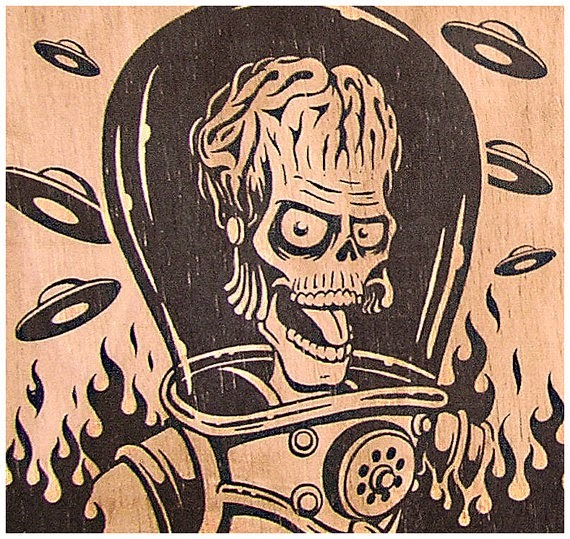 Wooden sign created by BwanaDevil. 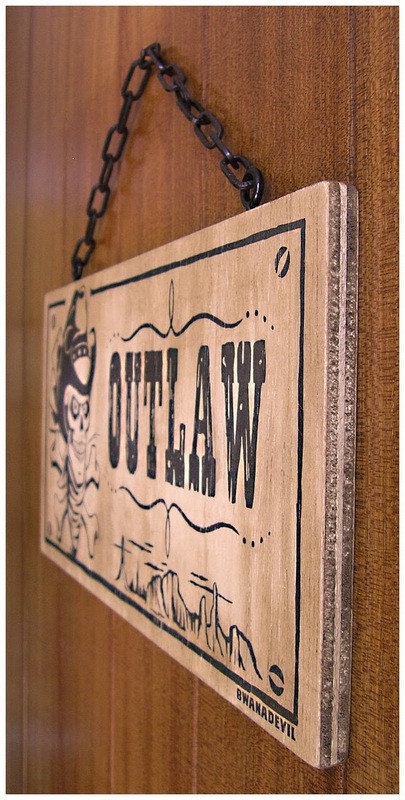 An Authentic blend of Rock and Roll, western, and country cabin style.